In 2014, he landed a supporting role in final season of Boardwalk Empire. He later landed high-profile movie parts in titles such as Men, Women & Children, The Town That Dreaded Sundown, Independence Day: Resurgence and Viral. He was a member of Plano's Boy Scout Troop 1000 and awarded the rank of Eagle Scout. He was part of an October 2014 live reading of the script of the Academy Award-winning film American Beauty. He is from Plano, Texas. 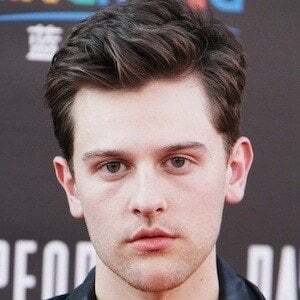 He began dating Kaitlyn Dever. He and Joey King were a couple of the younger actors featured in Independence Day: Resurgence.